Goldberg & Cuvillier, P. C. is a law firm located in downtown Decatur, Georgia. The firm represents clients in civil cases all over the state of Georgia and metro Atlanta. The firm’s bankruptcy practice is limited to clients who live in the metro Atlanta area only, an area which includes the counties of Dekalb, Fulton, Gwinnett, Cobb, Rockdale, Newton, Henry, and Clayton. Our commitment to excellence for more than three decades has gained us the respect of our clients and others within the legal field. We try to give enthusiastic and excellent representation for our clients. Unlike large firms, we are able to get to know each person and their unique situation. 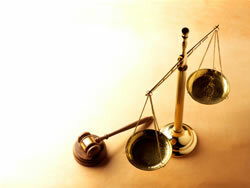 We frequently handle more complex cases, including state and federal court appeals. Our mission is to provide quality, professional representation with individual and personal attention to every client. We have a record of securing successful resolutions for our clients. We are available to meet with you evenings or weekends by appointment if your situation is urgent. We have Spanish interpretation available. Habla español y muy servicio. (770) 670-7343 or send us a confidential e-mail using the contact form on this site. 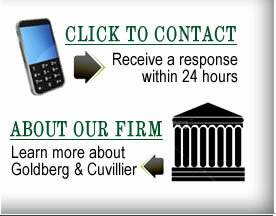 You can also email us directly without using our form by sending your email to info@goldcuvlaw.com.